San Martin has become known as a technological district within Barcelona, and as a result, it is an area that has experienced a huge amount of growth in recent years. The tallest buildings of the city are here and people who love a modern setting will enjoy staying in this neighborhood. 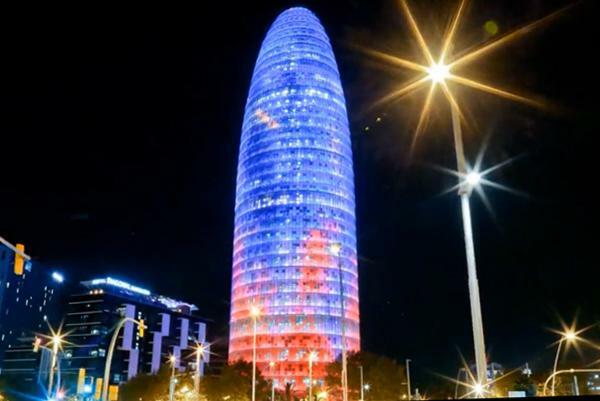 In addition to some of the newest hotels, San Martin is home to the iconic Torre Agbar, one of Barcelona’s landmark structures – a 38-storey skyscraper that looks spectacular when it is illuminated at night. For visitors there are plenty of restaurants, nightlife and attractions to keep everyone interested and busy. You can experience the bustling nature of one of the busiest parts of Barcelona, but you aren’t too far from the quieter and more historical parts of the city. All along the coast of San Martin are wonderful beaches that give you the chance to enjoy sun and sand, water sports and wonderful views of the area. When you get hungry, try El Ramblero for sangria and a large selection of tapas. Or try the Sant Martin restaurant for local meals that taste wonderful. Visit the Diagonal Mar mall area for some of the best shopping in Spain. Choose from tourist-free shops that showcase anything you could want, mixed in with restaurants and cinemas to keep you entertained. Head over to the Carrer de Puigcerda for a more traditional indoor Spanish market. Take a walk down Rambla Prim, a lovely tree-lined street that gives you a break from the hustle and bustle of the rest of the neighborhood and a chance to breathe in the culture and flora and fauna of San Martin.